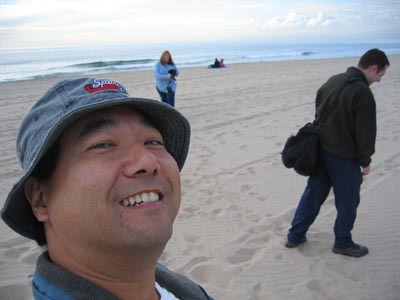 Had to stick my feet in the Pacific Ocean so I trekked down to Hermosa Beach with a couple of other Sports Shooters. The air was cold and it had been raining earlier and skies were grey but clearing slightly. 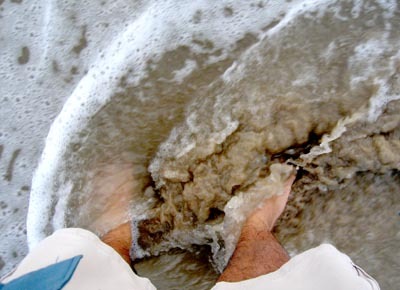 It isn’t a Hawaiian beach, seagulls flying overhead, pelicans dive bombing into the ocean to catch fish just offshore and kelp washed ashore. 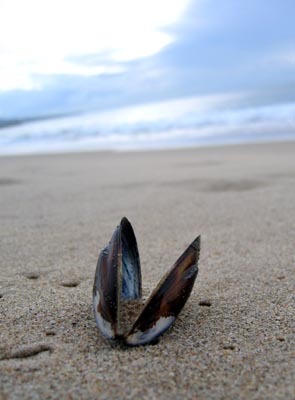 A mollusk on the beach. Nobody was in the water and only a few scattered people were on the beach, pretty deserted. Me and a couple of photogs starting to head back to the hotel. 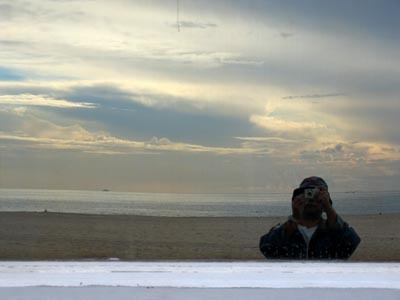 A shot of myself in a mirrored window along the boardwalk at Hermosa Beach.